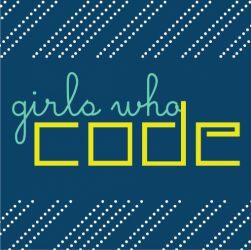 Girls Who Code – If you could build something to change the world…what would it be? If you could build something to change the world…what would it be? If you know COBOL, then you must know Grace Hopper was the women behind creating that programming language! Most of us remember seeing Rear Admiral Grace Murray Hopper on television. We recall a charming, tiny, white-haired lady in a Navy uniform with a lot of braid, admonishing a class of young Naval officers to remember their nanoseconds. The “nanoseconds” she handed out were lengths of wire, cut to not quite 12 inches in length, equal to the distance traveled by electromagnetic waves along the wire in the space of a nanosecond–one billionth of a second. In teaching efficient programming methods, Rear Admiral Hopper wanted to make sure her students would not waste nanoseconds. Occasionally, to make the demonstration even more powerful, she would bring to class an entire “microsecond”–a coil of wire nearly 1,000 feet long that the rear admiral, herself tough and wiry, would brandish with a sweeping gesture and a steady wrist. The vividness of our impression of Hopper as a great teacher derives from these images. But, as computer pioneer Howard Bromberg has written, Hopper was much more. She was a “mathematician, computer scientist, social scientist, corporate politician, marketing whiz, systems designer, and programmer,” and, always, a “visionary.” After graduating from Vassar with a degree in mathematics in 1928, Grace Brewster Murray worked under algebraist Oystein Ore at Yale for her Ph.D. (1934). She married Vincent Foster Hopper, an educator, in 1930, and began teaching mathematics at Vassar in 1931. Her work on compilers and on making machines understand ordinary language instructions led ultimately to the development of the business language COBOL. Hopper’s work also foreshadowed or embodied enormous numbers of developments that are still the very bones of digital computing: subroutines, formula translation, relative addressing, the linking loader, code optimization, and symbolic manipulation. At her death, she was an active consultant for Digital. We are here to celebrate the achievements of women in computing and to pledge ourselves to extend them. 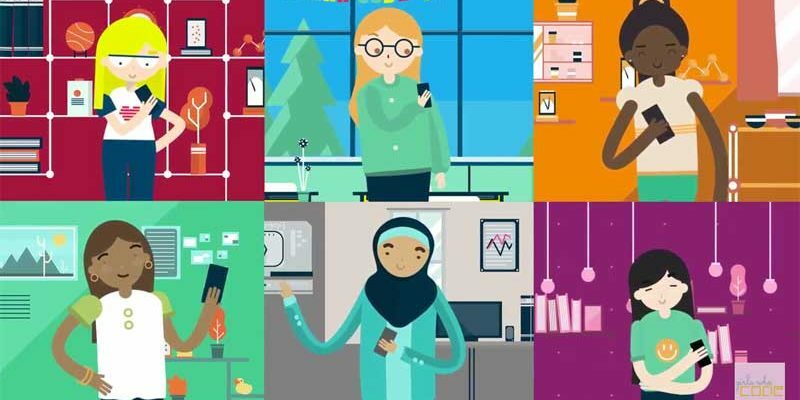 In computing more than other disciplines, women in the right place at the right time have made an enormous difference. If computing has led the way in making space for women’s participation on an equal basis, it is because the discipline was pioneered in large part by women like Grace Murray Hopper. What was true for Hopper is all the more true for women today because of her work. The search engines we use daily rely on the natural language processing discoveries made by one female computer scientist, Karen Spärck Jones. She was recruited to Cambridge into the “Language Research Unit” by another female professor, the computational linguist Margaret Masterman. Jones’ most notable achievements laid the groundwork for the sort of information retrieval we use today. She introduced the use of thesauri into language processing, allowing for computational recognition of similar words. And she also introduced the idea and methods of “term weighing” in information retrieval, which helped queries determine which terms were the most relevant. A pioneer of computer science for work combining statistics and linguistics, and an advocate for women in the field. When most scientists were trying to make people use code to talk to computers, Karen Sparck Jones taught computers to understand human language instead. In so doing, her technology established the basis of search engines like Google. A self-taught programmer with a focus on natural language processing, and an advocate for women in the field, Sparck Jones also foreshadowed by decades Silicon Valley’s current reckoning, warning about the risks of technology being led by computer scientists who were not attuned to its social implications. “A lot of the stuff she was working on until five or 10 years ago seemed like mad nonsense, and now we take it for granted,” said John Tait, a longtime friend who works with the British Computer Society. Sparck Jones’s seminal 1972 paper in the Journal of Documentation laid the groundwork for the modern search engine. In it, she combined statistics with linguistics — an unusual approach at the time — to establish formulas that embodied principles for how computers could interpret relationships between words. In honor of International Women’s Day, here are some great ladies of technology you really need to know about. In the late 1800s, men at the Harvard College Observatory were busy gazing at the sky through telescopes, gathering data about the stars and the planets. But what to do with all this raw information? The head of the Observatory, Edward Pickering, needed someone to crunch the astronomical numbers in order to calculate relationships and effectively measure the universe. Men reportedly turned down their noses at this “clerical” work. So Pickering asked his housemaid, Williamina Fleming, to work as a “computer” at Harvard. Fleming agreed, going on to lead a team of more than 80 women who did the computational work that’s responsible for how we understand the universe today. The idea that computation and programming was tedious women’s work extended into the 20th century (right up until men found out how cool it was). In the first half of the 20th century, Harvard’s “computers” grew into a unit of female mathematicians at what would become NASA and its Jet Propulsion Laboratory, working during World War II on behalf of the U.S. Military. The calculations they did plotting ballistic trajectories were time consuming and exceedingly complicated. Two men decided to build a machine that could carry out these calculations. It was called the ENIAC, and it’s now considered the first electrical computer. But it was the women mathematicians who actually programmed the ENIAC. The ENIAC builders recruited six women who became the world’s first coders, manipulating the ENIAC to calculate missile trajectories. For many years, people thought the women in ENIAC photos were models. Nope, they were the women actually doing the programming. The work they did for the army in the 1940s resulted in the first software program, the development of computer memory and storage, and the beginnings of programming language. “The mother of computing” also got her start in the military. In the late 1940s, Grace Hopper worked at the Harvard Computation Lab as part of the Navy Reserve, programming the Mark 1 computer that brought speed and accuracy to military initiatives. Later, she transferred to the Eckert-Mauchly Computer Corp, where she worked as a senior mathematician. She helped develop the UNIVAC I computer, the first business-oriented machine. Her accolades include creating the first compiler: software that translates arithmetic into language and unifies programming instruction. She was one of the architects of a “new compiled computer language” called COBOL, which is still a standard of data processing today. Most notably, she’s credited with the idea that computer code could be written and read like language. Annie Easley made the jump from “human computer” to computer programmer while working at the mid-century agency of what would become NASA. Running simulations at a freaking “Reactor Lab,” she was one of only four African-American employees. She is well known for her work encouraging women and people of color to enter STEM fields. Later, her work as a programmer involved energy conversion systems. According to NASA, she “developed and implemented code” that led to the development of the battery used in the first hybrid cars. You’re welcome, Prius drivers. The Raspberry Pi isn’t just a great platform for building Internet of Things project: It’s a super platform for learning about the IoT. If you are thinking to learn Python programming and searching for some best python books for beginners then you are surely at the right place. In this article I am sharing 5 best python books that will help you learn fundamental as well as advance topics and become a good python programmer. These books are for both new programmers and professional developers. Learning Python, 5th Edition is written by Mark Lutz which is one of the most popular python programming book. By reading this book you will get a comprehensive, in-depth introduction to the Python language. This updated fifth edition will help you quickly write efficient, high-quality code with Python. It is an ideal book for both new programmers and professional developers versed in other languages. Python for Data Analysis is written by Wes McKinney which guides readers about the ways in which Python can be used to analyze large sets of data. It also provides an introduction to practical data related problems and how Python language can manipulate, crunch, clean and process that data. This book uses number of case studies to make the explanations easy to understand. Python Programming: An Introduction to Computer Science is written by John Zelle. This book is designed to be used as the primary textbook in a college-level first course in computing. Python Cookbook is written by Brian Jones. If you need help writing programs in Python 3 or want to update older Python 2 code then this book is a good choice. Inside this book you’ll find a dozen topics covering the core Python language as well as tasks common to a wide variety of application domains. Head First Python is written by Paul Barry. This book is a complete learning experience for Python that helps you learn the language and become a great Python programmer. Margaret Heafield Hamilton is an American computer scientist, systems engineer, and business owner. She is credited with coining the term “software engineering”. It might come as a surprise to most of today’s software engineers to learn that the founder of their discipline is a woman. Indeed, Margaret Hamilton, renowned mathematician and computer science pioneer, is credited with having coined the term software engineering while developing the guidance and navigation system for the Apollo spacecraft as head of the Software Engineering Division of the MIT Instrumentation Laboratory. “I fought to bring the software legitimacy so that it—and those building it—would be given its due respect and thus I began to use the term ‘software engineering’ to distinguish it from hardware and other kinds of engineering, yet treat each type of engineering as part of the overall systems engineering process. When I first started using this phrase, it was considered to be quite amusing. It was an ongoing joke for a long time. They liked to kid me about my radical ideas. Software eventually and necessarily gained the same respect as any other discipline,” she said in a recent interview in a Spanish magazine. While software was not an important part of the Apollo program in the beginning, it became clear by 1965—when Hamilton came on board—that software was going to be integral in putting a man on the moon. From her fledgling days with NASA to her current standing as a software engineering legend and luminary, Margaret Hamilton helped pave the way for an industry—now worth well over a trillion dollars—to change the world forever. While working at NASA, during her time sending a man to the moon, Hamilton was tougher on herself than any bureaucrat could be. “The space mission software had to be man-rated. Not only did it have to work, it had to work the first time. Not only did the software itself have to be ultra-reliable, it needed to be able to perform error detection and recovery in real time. Our languages dared us to make the most subtle of errors. We were on our own to come up with rules for building software. What we learned from the errors was full of surprises,” Hamilton said. Right before Apollo 11 was about to land on the moon, the software program overrode normal operations to let the astronauts know something was wrong. Hamilton continued to work on NASA’s remaining Apollo missions as well as SkyLab, America’s first space station. Her rigorously specified design methods have become the foundation of many modern software engineering techniques today. She later received the NASA Exceptional Space Act Award (2003) and the Presidential Medal of Freedom from Barack Obama (2016). Margaret Hamilton, lead software engineer of the Apollo Project, stands next to a huge stack of code written by her and her team, in 1969. Did you know that almost 40% of the world’s population will develop cancer during their lifetime? While this number is daunting, the cancer research community has faith in the intersection of cancer biology, mathematics, machine learning, and data analytics to find treatments and eventually a cure for this stubborn disease. Dr. Bissan Al-Lazikani heads the Institute of Cancer Research as the lead Data Scientist. She collects data from patients undergoing cancer diagnosis and recovery and manipulates the data sets to discover patterns. As a result of her efforts, her team has the world’s largest cancer disease information database. In the video below, Dr. Al-Lazikani discusses the importance of computer science and data collection for the discovery of new medical treatments, especially for cancer. We are also suckers for a good Christmas son et lumiere. If you’re looking to make something yourself, LightShow Pi has been around for some years now, and goes from strength to strength. It’s still in active development from what we can see, with new features for this Christmas like the ability to address individual RGB pixels. Most of the sound and music displays you’ll see using a Raspberry Pi are running LightShow Pi; it’s got a huge user base. This display from the USA must have taken forever to set up: you’re looking at 4,000 lights and 7,800 channels. Here’s something more domestically proportioned from YouTube user Ken B, showing off LightShow Pi’s microweb user interface, which is perfect for use on your phone. All of this is set up and working through Raspberry Pi. Who thought that little of a device can do such big things as this. Can you imagine a robot that can hold a conversation or identify pictures just like a human? Ever wonder what technology empowers Siri, video games, and music and movie recommendations? Artificial Intelligence, or AI, can be used to build remarkable technologies like these. In this exciting time, Dr. Fei-Fei Li wants to democratize AI, since she believes that AI technology should benefit everyone and not just the privileged. Currently, Dr. Li works as an Associate Professor of Computer Science at Stanford University, and directs the Stanford Artificial Intelligence Laboratory and Vision Lab. She also co-founded AI4ALL, a nonprofit working to increase diversity and inclusion in artificial intelligence. Watch the video below to hear more about Dr. Li’s discovery of computer science and artificial intelligence as a student. Later in the video, she talks more about her current image recognition research and the importance for diversity in artificial intelligence. Blog Of The Day: The Advantages of using Scratch as your language! In the past week blogs, we discussed why is it important to use python as your programming language. However not everyone likes using the same language, but lucky for us there is a major variety of languages that we can choose from. From which one is Scratch. Scratch is a programming language and an online community where we can program and share interactive media such as stories, games, and animation with people from all over the world. As we create with Scratch, we learn to think creatively, work collaboratively, and reason systematically. Its a really easy language to learn even if you don’t know anything about programming. 1) Scratch allows for young people to integrate creativity in storytelling, games, and animation. Kids can collaborate on projects through the use of Scratch, and share their projects online. 2) Scratch allows students to develop 21st century skills through the use of technology. 3) Scratch can be used by people of all ages including students from elementary- high school ages, and adults in a variety of settings. 4) Scratch is used in over 150 counties and available in over 40 languages. This is great for teachers that are working with bilingual or ESL students. 5) Scratch can be used across curricula and students and teachers can create and share resources via scratch. 6) A major advantage of scratch is that it is a free program so people can access and utilize scratch for both personal and academic use.